BAKE CHEESE TART: Where To Have Hokkaido’s Best Cheese Tart In Singapore! Hokkaido’s no. 1 Cheese Tart is now in Singapore and will be available for purchase starting 29 April 2016. The story of this global food enterprise began in July 2011 at Kinotoya, Hokkaido. The international franchise has a total of 13 stores worldwide and currently has nine stores in Japan and four stores in the rest of Asia, namely Hong Kong, Seoul and Bangkok. Singapore will be its fifth store outside of Japan. This famous bakery chain produces 20 million pieces of freshly baked cheese tarts everyday to be sold worldwide and will be setting up their Southeast Asia flagship store in the heart of Singapore at ION Orchard. BAKE CHEESE TART aims to be the brand that comes to mind when Singaporeans hear or talk about Hokkaido desserts. With a specialisation in only one product — their famous freshly-baked cheese tart — BAKE aims to impress their customers thus their heart and soul is poured into perfecting each of these delectable savoury treats, hence creating the “The Best Cheese Tart Ever”. The cheese mousse used in our famous BAKE CHEESE TART is made using three different types of cream cheese – two from Hokkaido to provide a rich but soft fluffy cheese texture, and the third from France to add a savoury flavour to the exquisite tart. The pasty undergoes a two-step process which leaves it with a distinct crunchy yet fluffy texture, without it being overly-sweet. The savoury cheese mousse and crunchy pastry is then put together and re-baked a second time to produce the BAKE's unique cheese tart. The cheese tarts sold in our local BAKE CHEESE TART store will be produced in Hokkaido and are then flown to Singapore where the final step will take place before the tarts are placed out for sales on the racks. The tarts will be freshly baked in the store to complete the entire process of creating aromatic, delectable cheese tarts. Do note the terms "freshly baked" is used to define that the tarts are made freshly everyday and none is kept overnight to b sold the next day. Also, after baking for the second time, the tarts are required to rest for a couple of minutes so as to allow the cheese to curd and solidify to produce its signature silky smooth texture. BAKE CHEESE TART’s freshly baked cheese tarts will be available at ION Orchard, #B4-33, 2 Orchard Turn starting 29 April 2016. Prices of the freshly baked cheese tart is set at $3.50 per tart and $19.50 per box of six tarts. These cheese tarts are amazing. I highly suspect that they will be the next craze in food trends as I see BreadTalk rolling out their own rendition of cheese tarts late of last week. As mentioned earlier, the cheese tarts are made from a mix of three types of cream cheeses thus creating a smooth, rich and savoury cheese filling that you would never get sick of. The crust on the other hand was thick, crispy and buttery... the perfect dough to go with the excellent cream cheese. It is recommended to consume the cheese tarts within the day that it is bought. Or if not, do keep it in the freezer and toast it for 2-3 minutes and let it rest for a minute before consumption. The price points of these little snacks might be a bit steep but it is most definitely worth the try. Do get some before insanely long queues start to form in front of its store at ION Orchard. Mr Kanemaki has shared with me that BAKE intends to open another 2-3 more stores in Singapore later this year. At the moment they are focusing on their energies on their first flagship store in SouthEast Asia and are still in the midst of sourcing locations for the new stores. Note: The post was kindly sponsored by BAKE and The Influencer Network. Tony Roma's Place was started by veteran restaurateur, Tony Roma, who first began his entrepreneurship in North Miami, Florida in 1972. The concept of the restaurant has been preserved through the years — a casual decor and comfortable ambience with the feel of a neighbourhood bar, a simple menu of sensational food at reasonable prices and genuine cordiality. The house speciality (Baby Back Ribs) soon emerged and it attracted people who would travel miles just to sample the restaurant's signature product. Five years onwards, Tony Roma's Place began to franchise and it is now a global F&B franchise with 150 Tony Roma's restaurants worldwide. Today, Tony Roma's restaurant is still famous for their Baby Back Ribs and our local Tony Roma's Restaurant has created a perfect palate pleasing combination with their lean, tender baby back ribs matched with a coca-cola infused BBQ sauce. Read on to find out more about the new dishes available at Tony Roma's and my first impression on their new dishes. A 200g rib-eye steak with glazed bourbon onions and a quarter chicken with white BBQ sauce. (Before you begin reading about my opinions on the new dishes, I would first like to add a disclaimer that despite this meal being sponsored, I always believe in providing honest and professional reviews for my readers and my clients. I have always been a fan of baby back ribs and I have tried a couple here and there. The Baby Back Ribs from Tony Roma's have never failed to disappoint me in terms of its marination or its tenderness, however in the instance of Coca-Cola® Baby Back Ribs, I am sad to say that I was expecting a bit more. It lacked of a Coca-Cola® taste that I was expecting — my presumption is fairly reasonable since the famous fizzy beverage title is after all stated in the food's name right? — but all I got was a layer of BBQ sauce. Moving back to the other new items on the menu, for starters, we had two new dishes: Harvest Fruit & Chicken Salad and Shrimp Tango. Well, once again, I am sad to say that I do not know how to appreciate either of these two new starters. I found the chicken salad to be overly sour and off due to the triple berries vinaigrette and presence of blue cheese crumbles. Oh and, for those who are ginger-haters like myself, do take note that there are tiny slices of ginger in the pineapple salsa. My fellow foodies were a lot more forgiving to the salad and could better appreciate the refreshing taste of it, unfortunately I couldn't and this salad is a "no" for me. As for the prawn salad, I love the savoury flavour of grilled bacon and prawns, and (Ooof!) the addition of strawberry slices and Sriracha lime sauce to create the perfect balance of savoury, sweet and sour. Now here comes the sad part, this dish COULD have been perfect, if it wasn't for the radish guacamole which was far too bitter and overwhelming, thus destroying the sensational flavours that could have been. Now for the other main, Fire-Roasted Ribeye & Quarter Chicken Combo. I honestly wished that this dish was better because I loved the taste of the glazed bourbon onions that provided so much flavour to the steak, however the beef itself was too under-cooked and raw to be properly eaten and appreciated. Both plates of steak presented on that day was suppose to be a medium rare but turned out to be a raw. As for the quarter chicken, more flavour is needed because it is easily overpowered by the bourbon onions. For the final course, we had Strawberry & Peach Cobbler for dessert. This dish was perfect and on-point. I couldn't agree more with the simplicity of the dish and I like how they threw in the scoop of vanilla ice cream for an added refreshing taste to tie off the whole meal. Flash this post at any Tony Roma's restaurant to enjoy $15 off your meal. 1. Valid for dine-in only. This post must be presented upon order. 2. A maximum discount of $15 with a minimum spend of $50 (excluding service charge and GST) per table, per visit. Splitting of bill/table is not allowed. 3. Not valid on Mother's Day, eve of and on public holidays. Not valid with set lunch, lunch combos and other promotions and discount. 4. Offer is valid till 31 May 2016. Note: This post was kindly sponsored by Tony Roma's Singapore and StarNgage. Domino's Promotion Up to 50% Discount: 2 Pizzas with Mozzarella Cheese Sticks For Just $24!!! Are you ready to throw another party with Domino's pizza again? Because I am!!! And the best thing is that Domino's has recently launched their new item — Cheesy Mozzarella Sticks — bound to make the day for any cheese lover! It is so good that it is impossible to say 'no'! The new Mozzarella Cheese Sticks are fully loaded with 100% mozzarella cheese, baked to golden perfection and sprinkled on top with Mozzarella cheese. However my readers are able to enjoy MORE discount — simply because I love you guys so much! Awww! Starting from 20 April 2016 to 20 May 2016, you get to enjoy these awesome promotional deals when you key in my promo code on their online ordering website here. Note: Surcharge applies for Cheese Burst, Cheesy Crust, Classics, First Class pizza and cheese sauce upgrade, Half and Half, extra toppings, extra cheese and extra condiments. Add to shopping cart, make payment and enjoy your pizza! Note: This post was kindly sponsored by Domino's Singapore and The Influencer Network. If you follow me on Instagram, you would have seen my iPhone in its awesome UAG casing, popping up in several of my photos over the past few months. I have been using UAG's phone casing since this January when I was given my first one during Lazada's Blogger Bazaar and it is now a must-have for me because of its ALL-AROUND protection — brilliant for a klutz like myself! I was busy raving it to my family and friends about the awesome-ness of this smartphone case and UAG must have heard my active promotion with their cyber ears as they reached out to me for a collaboration. Like every good giveaway, before you jump hastily onto the "I WANT BECAUSE IT'S FREE" bandwagon, you need to first know what is it that you are getting yourself into, right? Before you click [x] because you thought that UAG is another bias company that targets only Apple products, well the good news is that YOU ARE WRONG. Yes, UAG does provide coverage for more Apple than Android products, but it does not mean that they haven't taken Apple's competitors into consideration. UAG has specifically researched and designed each device's cases so as to provide the ultimate protection for phones, tablets and laptops from Apple, Microsoft, Samsung, Motorola, LG & HTC. If you have just gotten yourself an Apple iPhone SE, or a Samsung Galaxy S7/S7 Edge, UAG has already produced smartphone casings for the respective phones. Apple iPhones used to be much more durable than the current versions of iPhones, as I remember how an accidental drop on a concrete pavement could leave my iPhone 4/5 scarless and unharmed. Unfortunately the same scenario is not occurring for my iPhone 6, even though it had the same cheap and more aesthetics-based phone casing. My iPhone 6 suffered an indentation from my clumsiness within my first week of usage, and I have since clutched my phone super tightly in my hands every single time I held it... until I was given my first UAG case. UAG provides 360° protection to my electronic devices! UAG cases are certified with a MIL-STD 810 rating. The MIL-STD 810 rating is a US Military certification applied to equipment which can withstand tough environmental conditions, and in order to attain such certification, the cases must protect a device perfectly from a 1.2 METRES high drop for over 26 REPEATED DROPS. If you have a baby at home, this phone case is a MUST-HAVE! She couldn't have flung my phone around more and my precious phone has withstood all of her mischievous antics thus far all thanks to UAG! And have also dropped it from a car that was travelling at 196 KM/h!!!! WHAT?! Coupled with UAG’s glass screen guard, your phone is protected 360° from scratches, abrasions or falls. Which also means that you can be as clumsy as you want with your fragile precious electronic device! As mentioned earlier, UAG also produces protective casing for Macbooks! These casings have armored shell and impact resistant bumpers, with dual lock secure screen closure, cooling vents for uncompromised air flow, and FrogSkin™ non-slip grip for easy gripping of the Macbook! Like all other UAG products, the Macbook casing also meets military drop-test standards! Just like the condoms (I'm kidding) but really, the innovative designs from UAG's cases allows you to retain the sleek profile of yours devices without compromising on protective strength. The material is also friction free, which enables easy access no matter how skinny your jeans are! And leveraging on one of nature best structures, UAG cases feature a honeycomb-shaped inner cavity that allows it to be light weight while maintaining the casing’s rigidity and compression strength. Here is another thing about UAG which I adore so much: They have more than one design available — and more than one colour per design — so as to suit to your everyday needs! It has the same feather-light impact resistant core, with easy access to touchscreen and ports. The oversized tactile buttons makes it easy to adjust your ringer volume or to lock your phone. Needless to say, as like all UAG products, the Trooper Series meets military drop-test standards as well. What sets the Trooper series apart from its fellow smartphone casing is its ability to hold up to 4 credit card cases at the back compartment of the phone. The Trooper Series is available in 3 colours: Black, White and Rust (ie. a shade of orange). Introducing the "Folio Case Series"
Possessing the same feather-light impact resistant core, easy access to touchscreen and ports, as well as the signature military drop-test standards certification, UAG's Folio Cases are one of the best protective phone cases in the market. The Folio Cases sets itself apart from its look-alike competitors with its water resistant FrogSkin Technology™ grip that makes it comfortable to hold even with sweaty palms. This smartphone case is also able to hold up to 3 credit cards which makes it a must-have for clubbing — because carrying bags to a club is such a burden and all you need to carry now is just your phone! The Folio Case Series is available in 2 colours: Black and Magma. If you are looking for a particular colour, then you should check out UAG's Composite Cases because they come in 7 different colours and are either opaque or translucent! To get the latest updates on UAG products, follow them here on their Facebook page. I have two UAG iPhone 6/6S cases to give away and they are Trooper Series in Black and Folio Case in Magma. Winner will be announced on 4th May, 0000hours. Note: This post was kindly sponsored by Urban Armor Gear. EZContactLens: Get Your Contact Lenses At 50% Cheaper Than Normal Retail Prices! Are contact lenses a daily necessity to you as well? Well they are to most humans these days as we are incredibly vain and even those with normal vision would wear coloured contact lenses just to give a little bit more edge to our looks. If so, where do you get your contact lenses? Most probably from your usual optician in your neighbourhood or a nearby shopping mall, where all of them sell their contact lenses at the same non-competitive rates! 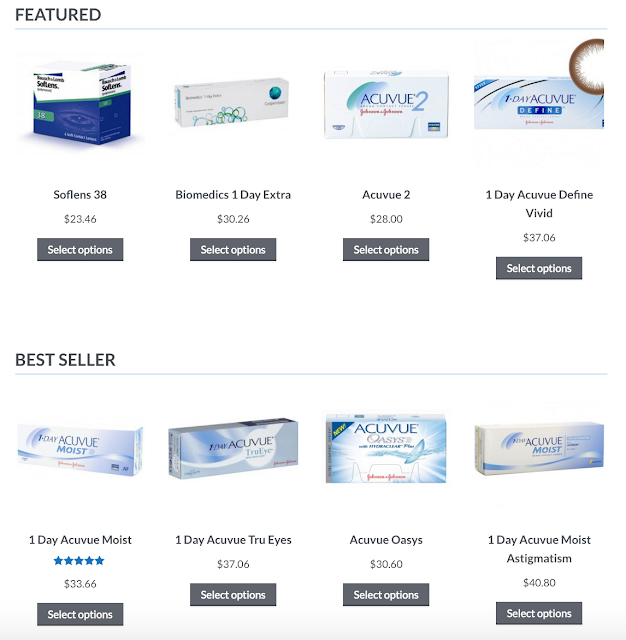 Well here is a way to get your contact lenses at a CHEAPER rate than what is available out in the market, and this is also where I get my 1-Day Acuvue Moist Contact Lenses these days!!! Introducing EZcontactlens.com, the next generation contact lens retail e-store, providing reasonably priced contact lens to customers in the Asia Pacific region such as Singapore, Malaysia, Indonesia, Australia and New Zealand! This friendly e-commerce store ships their lenses (or to be specific, YOUR contact lenses) directly from their humble warehouse in HongKong, and upon your online order, the lenses are then delivered directly to your doorstep by their trusted courier companies! Customers get to save up to 50% off retail prices as compared to those sold at your common optical stores!!!! Check out below for some of the featured rates listed on ezcontactlens.com. Are any of these lenses the ones that you commonly used? Well compare the rates and start purchasing from ezcontactlens.com! 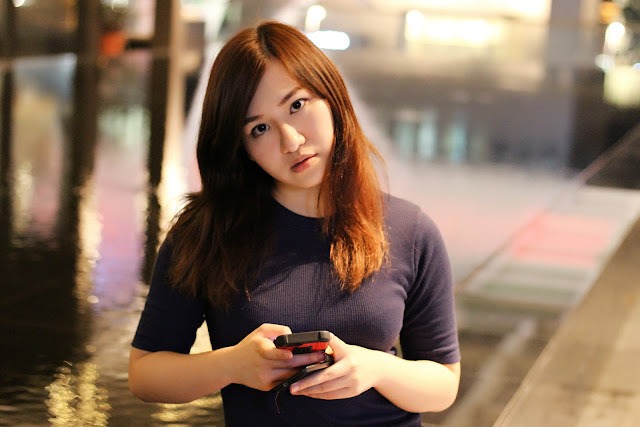 The online portal provides 100% authentic contact lenses shipped from all over the world (with the exception of China and North Korea) sold at one of the best rates available in Singapore. They are able to bring low prices to their customers due to their benefits from arbitrage, wholesale prices and special deals made with manufacturers from all over the world. Plus!!! Part of the deduction in the given rates is due to the lack of crazy rental price caused by possessing a physical retail store. The return policy for EZcontactlens lasts for 28 days where they are more than happy to offer you with an exchange or refund for your purchased product. All you gotta do is to drop them an email at cs@ezcontactlens.com within 28 days and they will judge your exchange/refund on a case-by-case basis. For more information, or if you would like to indulge yourself with some ingenious humor, check out their FAQ page. the price of your ALREADY-INSANELY-CHEAP contact lens! Note: This post was kindly sponsored by EZcontactlens. C'mon, we all know how expensive property is in Singapore! 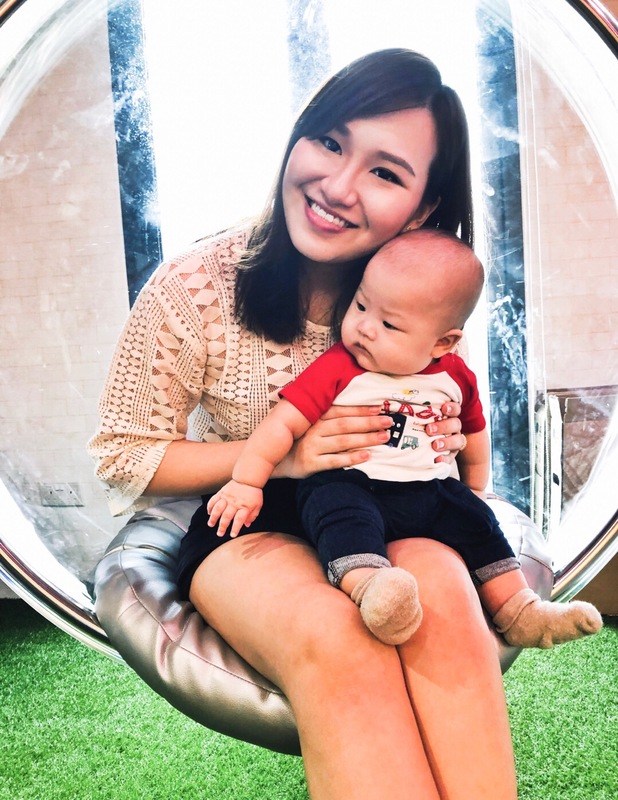 Especially resale houses, which is also why most young couples go for build-to-order HDB apartments despite the (increasingly) small floor area. But what if I told you that there is a chance for you to get your ideal apartment size at A FRACTION of the market pricing? 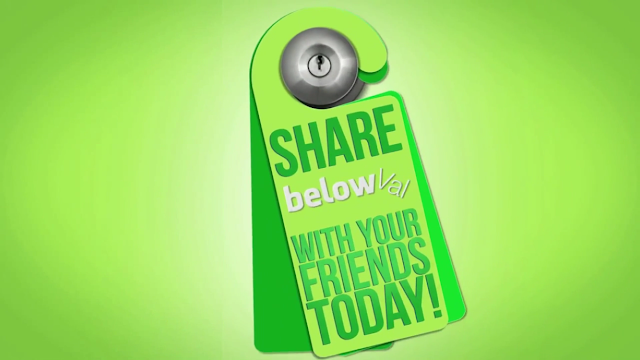 Introducing "belowVal", a property web portal that focuses on below market valuation properties. As they do not list regular-priced properties, belowVal has a smaller number of property listings on their website which also allow listings of a more urgent nature to get the attention they deserve. 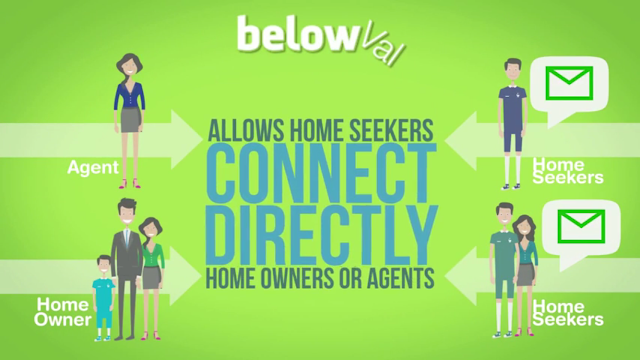 Here are 5 things about belowVal.sg which all home seekers and home owners should know about! belowVal is a newly-launched website listing properties which are below valuation, thus providing home seeker like myself with an efficient and effective way to find affordable homes! 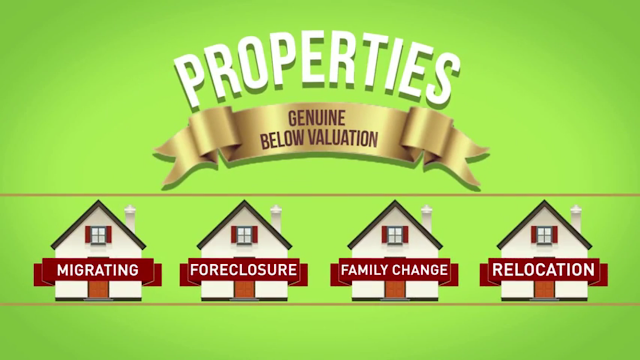 The staff of belowVal verifies all properties before they are viewable on the site, thus ensuring that there are no listing with fake or outdated information and all houses or commercial space listed on the website are indeed below valuation! From cosy HDBs to swanky city condominiums, belowVal has a wide range of homes and rentals priced below the market valuation. The website provides a wide selection of properties that are suitable for your everyday lifestyle needs. BelowVal has a clean and simple layout, with multiple filters — such as the number of rooms, type of properties and the type of transactions (rental or purchase) — to help users find their ideal living or working space. The website is also constantly updated with the latest properties which are available in the market, thus making it a fuss free affair when looking for your dream home or office. You might ask: Why would there be situations when a homeowner would have to urgently sell his property at a price that is below market valuation? 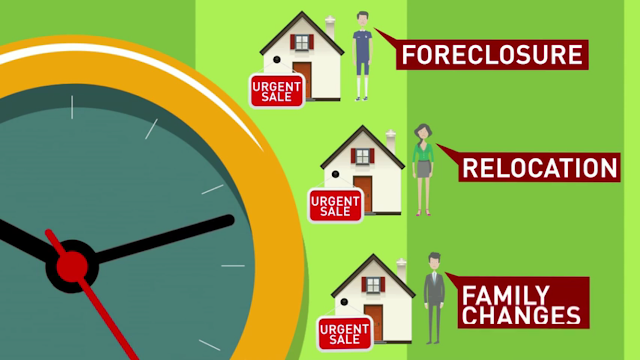 Well there are many factors leading to such a home sale such as migrations, relocations, family changes & foreclosures. 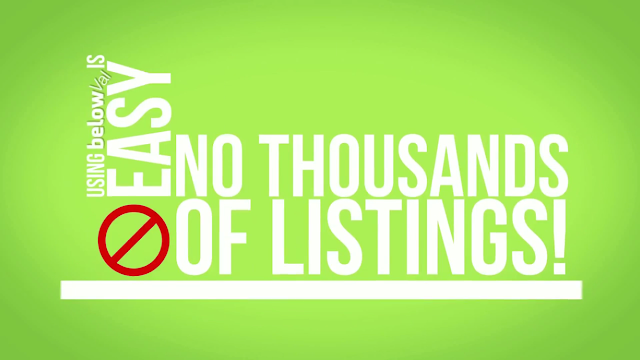 Hence interested home seekers can look forward to a quicker response time from their seller and you get to avoid the situation of a seller sitting and waiting for the best price offered. Yikes! BelowVal links a buyer direct to the home seller or their agent which could then address any queries which you might have about the house. Important information such as types of neighbours, reason for sale or even feng shui questions could be easily addressed. All Singaporeans we love things cheaper, faster, better, and belowVal.sg is a prime example of such a good "lobang"! 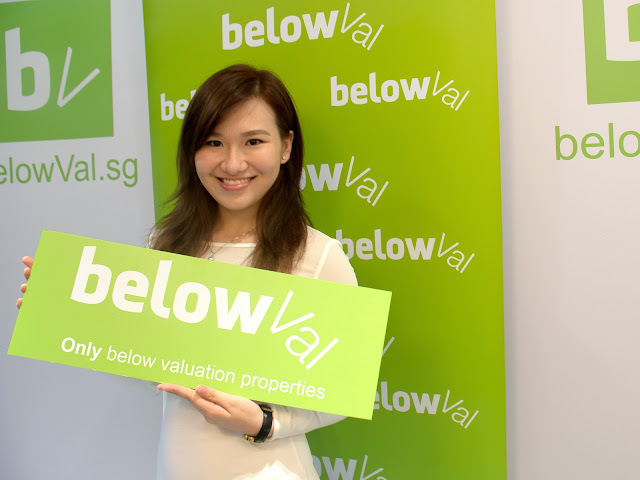 So find your next affordable dream home at belowVal.sg! 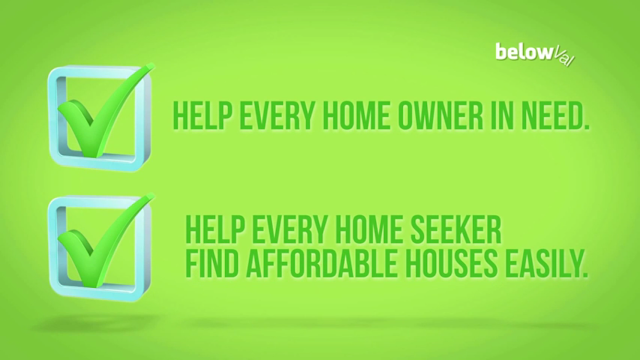 For more information on belowVal.sg, click to watch the video below. Click 'here' to share this good deal on Facebook! Bistro Kai is housed in the lobby of Hotel Kai, a cosy boutique hotel located in Singapore's historic Civic district, and the restaurant has been decorated in a contemporary style — the dramatic setting of the original brick walls from the conservation of shophouse building is juxtaposed with modern finishes. The hotel's in-house restaurant serves mouth-watering Western staples such as oven-baked salmon, succulent steak and lamb chops, and gourmet open-faced sandwiches. With 9 other fellow bloggers, I was cordially invited to a dinner food tasting session at Bistro Kai. How could I begin a good meal without a drink? There is an artisan bar within the restaurant and it offers a wide selection of cocktails and fine wine. Additionally, the bar serves Paulaner that is fresh from its Singapore-based microbrewery. For other beer fans, the bar also boasts a range of imports that would be suitable for any beer connoisseurs. 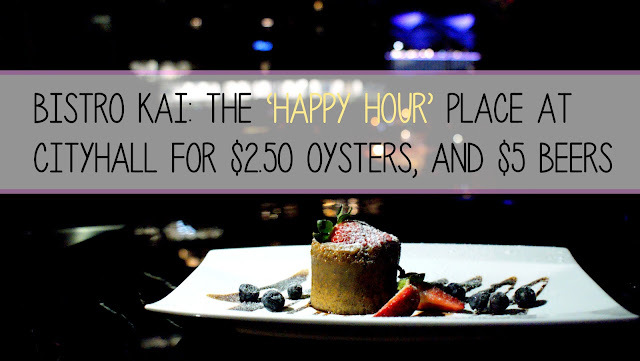 Here is the most important information for any alcohol lovers, Bistro Kai has an amazing happy hour system! Beer starts at $5 at 5pm, $6 at 6pm and $7 at 7pm with normal pricing resuming at 8pm. Therefore, grab your kakis after work and go have a drink!!! It's happy hour time! With a gentle squeeze of lemon, it brings out the sweet succulent flavour of the fresh oyster. Furthermore check out the price man, where else in Singapore can you find fresh oysters so reasonably priced?! I am so sorry to be frank, but this dish looked ugly and ordinary at first glance. This dish is easily a hit-or-miss with folks — you either like brussel sprouts or you don't. If you are a fan of brussel sprouts, then do give this dish a try as deep fried brussel sprouts are easily over-oily but I didn't notice the case for the ones from Bistro Kai. Furthermore, the pickled beetroot provides a tinge of sourness that elevates the sweetness of the deep fried vegetable and masks its natural bitter flavour. Hohoho.. This dish is not to be taken lightly. They weren't kidding when they used the word "HOT". The chix wings probably aren't as spicy as the ones from Hooters, but you can still breathe fire like a Hungarian Horntail. One of my favourite mains out of the mix! I loved the tanginess and tinge of spice in the risotto, I couldn't stop putting spoonfuls of this tasty rice into my mouth. The tiger prawns used were bigger in size, fresh and skilfully grilled as the meat was still firm and could be picked off from its shell easily. It tasted savoury and had a slight tinge of smokiness which made it incredibly alluring. This has got to be one of the best grilled prawns that I have ever had in my life! Essentially carbonara with a twist to its name, this dish is a must-try for all carbonara lovers. The yolk from the poached egg combined with the existing savoury flavour from the ingredients used adds a new level of richness to this simple pasta dish. I can never say no to a good plate of barbecued pork ribs, especially one with meat that falls off the bone easily! The homemade barbecue sauce was tangy and had a tinge of smokiness to it, which accentuated the natural flavours of pork ribs. This is a muted version of Thai green curry, which could come across as a 'yay' or a 'nay' to different individuals. The curry spices are present but less distinct, and the farfelle could do with a tad more salt. Nonetheless it should be noted that the Thai green curry went surprisingly well with the accompanied choice of seafood (especially the clams) and for its price, the chef is indeed generous with his choice in seafood and the amount (of seafood) given. My third favourite main course out of the set — I like most steaks but it is hard to find one that I would rave about on and on, and this one from Bistro Kai has most certainly got my raves! The steak was well seasoned and equally grilled on each side to a medium well. The steak was juicy and the natural flavours of the steak was revealed with each bite, and I must say that the seasoning is a major contributing factor in the accentuation of the flavours. Apparently at Bistro Kai, another tapas dish available are their "Beef Cubes" which should not be missed out on! It is essentially grilled steak bite-sized pieces, which makes it easier to consume and without my saying, it goes DAMN DAMN WELL with beers and red wine. If you choose not to try their beef cubes, I'm telling you right now that you are making a grave mistake which you might possibly regret for eternity! Don't be a fool, my friend! How could we forget about the best ending to any good meal — DESSERTS! Here we have another Thai twist to a westernised dessert: Thai Tea Molten Chocolate Lava Cake! The taste of the chocolate and thai tea was well-balanced, with neither overpowering the other's flavour. This dessert is great for those who are not a huge fan of chocolate as the presence of the thai tea helps in toning it down. When consumed on its own, the lava cake was a tinge too sweet but still bearable — I found that it goes better when consumed together with the accompanied fresh fruits! My dearest dearest crème brûlée, how could I forget you? The trick to a good crème brûlée is hearing its crack when you hit it lightly on its surface, but it is still smooth and soft on the inside. This crème brûlée does the trick and I was incredibly amazed by the perfect caramelisation on the surface of this egg dessert! The crème brûlée was made a bit sweeter as it came with fresh berries that were a tad sour in nature. When consumed together, it tasted refreshing and smooth with bits of its caramelised surface crunching between my teeth. Like I said earlier, this crème brûlée is the dessert bomb! Dining at Bistro Kai was beyond my expectation. I knew that eateries located within a prestigious lodging had to have some sort of standard, but this was way beyond the norm and they have gone all out to ensure that diners (be it those who are their hotel guests and those who are not) have a great time! I was shocked when I had my first taste of the beer served and could not stop raving it to my beau — a beer connoisseur had taught me to be a strict critic with the alcohol that I am to allow my palate to taste — via texts about how fresh the Paulaner at Bistro Kai was as they carried the beer from our local microbrewery. And then the food was served... there were fewer misses than hits, and on multiple occasions I was blown away by the flavours carried in each dish. For the starters, there were the Crispy Baby Squid and Broccoli with 63 Degrees Egg. Then came the mains which kept me wow-ing for the rest of the hour, such as Spicy Tom Yum Risotto, Indonesian Style Barbecued Pork Rib and Australian Grade Striploin Steak. The portions served were huge and I would strongly advise couples, who are not big eaters, to order some starters and share your main. The night ended off on a sweet note with their Homemade Crème Brûlée which kept me smiling through the rest of the night, and even till today as I write this post now. Bistro Kai is an eatery worth visiting if you are in town or in need of a drink after work with your friends or colleagues. They offer good food and good beer at a reasonable pricing! Do check out their Happy Hours (Monday to Friday, 5-8pm) and tapas which are available at $9 each during happy hour. To keep yourself up to date on their latest promotion, follow their facebook page here and instagram here. quote "ChillAtKai" when you dine at Bistro Kai! Hotel Kăi is centrally located in the heart of Singapore's historic Civic District and the hotel is housed in a beautifully restored conservation shophouse, re-birthed with a unique blend of history and modernity. In the early 1900s, this shophouse was used to house immigrants and travellers from Hainan, China. Architecturally, these heritage pre-war shophouses were remarkably space efficient in its design even by modern standards. Kăi is about all the luxury you'd expect from a premium hotel – without the premium price tag! Unusally high double-volume ceiling rooms framed with vintage timber slated windows, spectacular open sky terraces, fully equipped kitchenettes, private gardens, service apartments with private lift lobbies – our Suites series are made to wow. Click here now to reserve a room at Hotel Kai, and here to find out more information about the hotel. Note: This post was kindly sponsored by Hotel Kai.